Artist's impression of debris of the Gaia-Enceladus galaxy. Gaia-Enceladus merged with our Galaxy during its early formation stages, 10 billion years ago, and its debris can now be found throughout the Galaxy. Astronomers uncovered this major event in the formation history of the Milky Way after discovering an 'odd collection' of stars that move along elongated trajectories in the opposite direction to the majority of the Galaxy's other hundred billion stars, including the Sun. The discovery was possible thanks to the second data release of ESA's Gaia mission and its extraordinary precision. The positions and motions of the stars (shown with yellow arrows) are meant to represent those of stars originally belonging to Gaia-Enceladus. 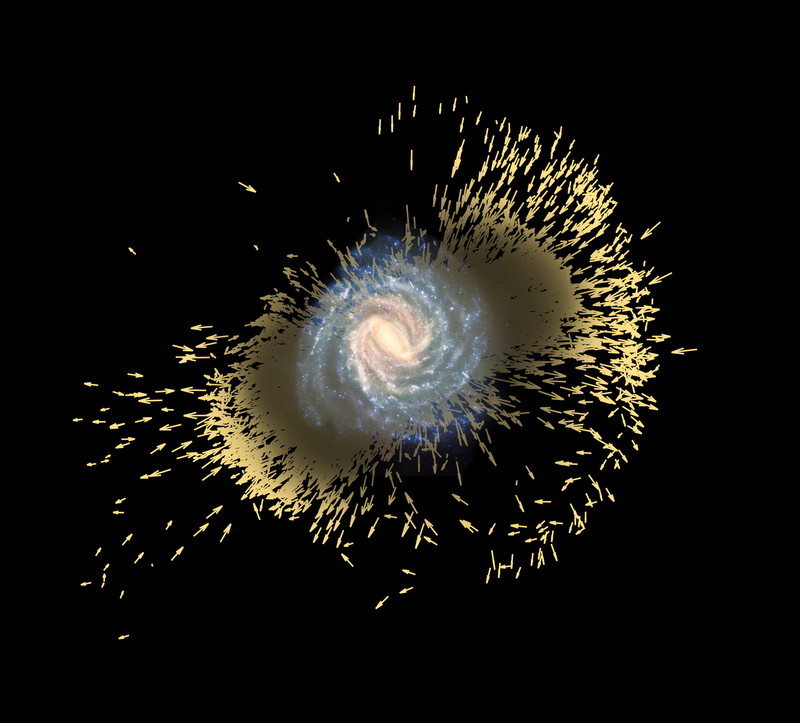 They have been extracted from an existing computer simulation of a merger with similar characteristics to that uncovered by Gaia.